If you answered yes to any or all of these questions then Deloitte’s iPACS Hedge and Mutual Fund Network (HMFN) may be the place for you! As a member of the HMFN, you will be a part of a group that sets the standard for investment management tax technology by creating and working with the iPACS platform to drive value for the largest hedge funds and mutual funds in the world. National Federal Tax Services (NFTS) is a national practice within Deloitte Tax LLP made up of a number of tax service offerings. Each NFTS service offering has been developed as a result of a tax planning idea, a marketplace need, or a technological innovation – all with the purpose of delivering results for our clients. Our people are entrepreneurial in spirit and have always had the work-hard/play-hard mentality. NFTS service lines provide tax planning and compliance support for the largest organizations across all industries. We want job seekers exploring opportunities at Deloitte to feel prepared and confident. To help you with your interview, we suggest that you do your research: know some background about the organization and the business area to which you’re applying. 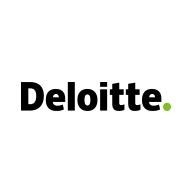 Check out recruiting tips from Deloitte professionals.